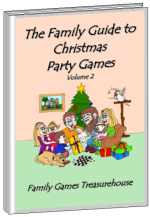 A family games night is a fantastic way to build deeper relationships between every member of your family. 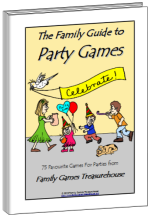 A weekly games night can help in creating a lifetime bond between parents and children of all ages. You may even be fortunate enough to have grand-parents join you regularly. 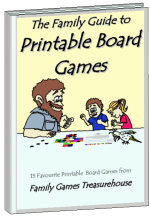 Here are five fabulous ideas for your next family games night. Games need to be chosen so that every member can join in. Some games are too difficult for younger players or too simple for older players to find challenging, while other games are only for a limited number of players. 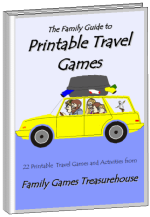 Here are five family games that fit the bill. Rummy is a strategy card game uses a standard deck of cards without the jokers. If there are two or three players, they each receive ten cards; four or five players receive seven cards each; six players receive six cards. The remaining cards are left face down in the middle of the table as a pick-up pile, with the top card turned over and placed next to the pile. Players look at their cards, attempting to get rid of them all by forming "melds". A meld can be either three or four cards of one rank (for example; all four Kings) or a run of three or more cards in one suit (for example; Ace, 2, 3 and 4 of spades). Note that an Ace always counts as a One and is not counted above a King. Player One can pick up the top card from the discard pile (which is face up and can be seen) or the pick-up pile (which cannot be seen), before placing any card from their hand onto the discard pile. Play continues around the table, with each player attempting to create two or more melds with the cards in their hand. 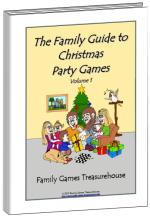 The first player to do so places them face up on the table and wins the game. Table Story is one of our family's favourite word games that requires no equipment or preparation. One person (an adult or older child) begins a story that the next player continues to tell, and so on around the table. For example, the story may begin - "Betty slowly climbed the stairs to the attic. She had played there as a child and had fond memories of tea parties with princesses and kangaroos. Now she was older. She wondered what she would find." The next player continues the story, taking it in any direction for a few sentences before passing it to the following player and so on. Each player must carefully listen to the story and can add a new element to it, as long as it makes sense. After a few rounds, the original player can finish the story. "U" - point to any other player. For example, a player spelling the word APPLE would raise their right hand before saying P-P-L and then raising their left hand. Any time a player makes a mistake, their score progresses through the vowels (A-E-I-O-U) before they are out of the game. Pig is a simple dice game using one die. The aim is to reach fifty points. Each player can throw the die as often as they like, adding the score from each throw. They can choose to stop at any time and keep their score for that round but if they throw a '1' their score for that round is wiped out. Players take turns around the table, adding their score from each round until one player reaches fifty points and wins the game. In our family, some players are cautious and stop when their score reaches eight or ten points in a round, while other players try to score the full fifty in one go. Anti-Um is a quick word game that helps children and adults become better speakers. A player is given a topic, such as "Clouds" or the colour "Green". They have thirty seconds to think about the topic before they must speak for one minute without pausing or saying "Um" or any other fill-in word. Each player has a turn, with a topic suitable for their age. Younger children may be given a reduced time limit. Although it is very difficult when you first begin, it becomes easier after a few weeks practise. Family games nights can always include commercial games like UNO® or Yahtzee®, but they can also be so much fun with just a pack of cards and a handful of dice. It is the time spent together that is more important than the cost of the game.